If the 76-degree weather and the blossoming cherry trees around Arlington weren’t enough of a sign of spring, here’s another: the Easter bunny is coming to town. 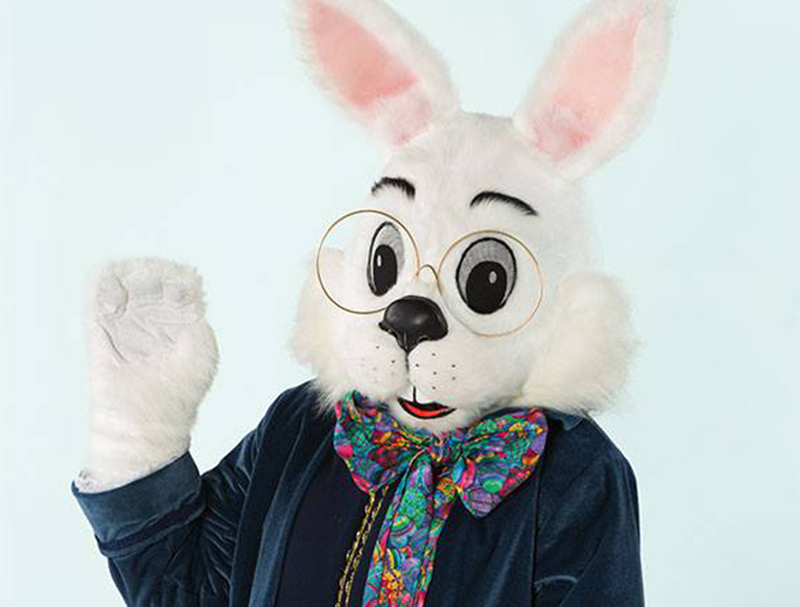 The fluffy, often bespectacled mascot of Christianity’s second-most-celebrated holiday will be on hand for photos with children at the Pentagon City mall starting on Friday, April 5. Families are invited to celebrate spring by snapping photos with the Easter Bunny at Fashion Centre at Pentagon City. Beginning Friday, April 5, shoppers can hop down the bunny trail near Nordstrom on the First Level to meet and take egg-citing photos with the Easter Bunny. As an added convenience, shoppers can make an appointment online to skip the line by visiting simonbunny.com! Shoppers can also look forward to a Caring Bunny event on Sunday, April 7. Caring Bunny is a private event designed for children and young adults with special needs to have an opportunity to visit the Easter Bunny and take memorable photos with their families. Fashion Centre at Pentagon City will make the necessary adjustments to the environment to support special sensory, physical and other developmental needs. The event will be held from 9 a.m.-11 a.m., and guests are encouraged to use the entrance closest to Nordstrom. To reserve an appointment, visit bit.ly/FCPCCaringBunny19. Little ones are invited to ring in the season with a special Breakfast with the Easter Bunny at The Ritz-Carlton, Pentagon City on Saturday, April 13 from 8:30 a.m.-10:30 a.m. The festive morning will include a cookie decorating station as well as a special appearance by the Easter Bunny! Breakfast is $42 per person, excluding tax and gratuity. For reservations, please call 703.412.2728.